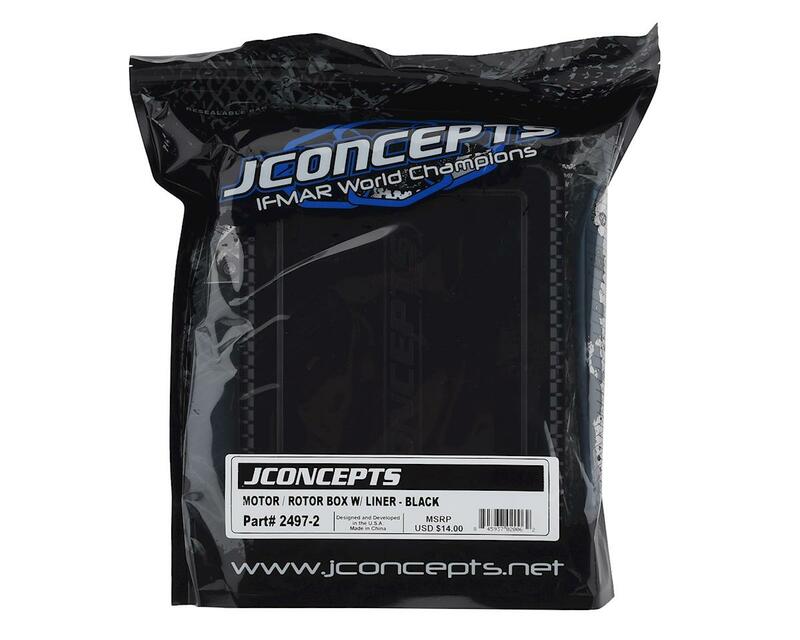 This is the JConcepts Motor or Rotor Storage Case for 540 sized cans. 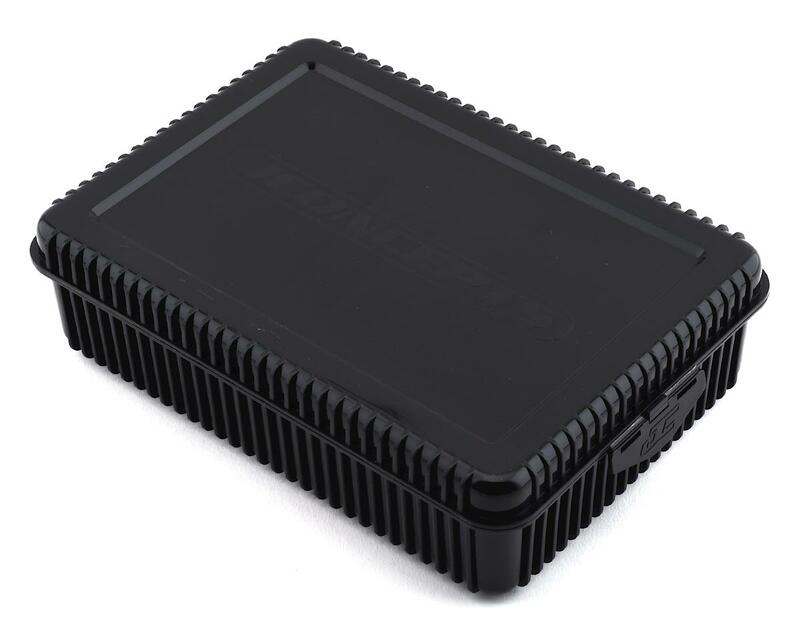 The motor/rotor box has a small footprint which makes it ideal for short trips with minimal amounts of space. 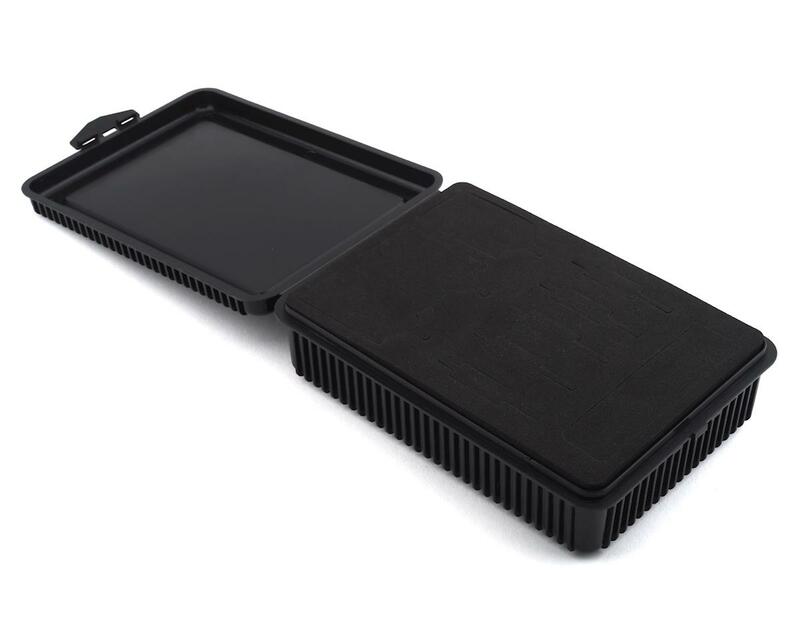 Inside the box is roomy enough for three assembled motors and cushioned with high-impact foam that allow the items to lay in a bed like a cradle during rest periods. At the other end, five areas can house rotors and the pocket at the end gives all-important extra storage. The foam insert material has a grabby feel and allows the user to manipulate to grab needed items. The custom built storage box, molded black in color has JConcepts.net logo for authenticity and built-in plastic latch for easy open and close operation. NOTE: Rotors are extremely magnetic and setting them in the cradle can be tricky. Enter and remove with ease and patience and maintain separation until they are resting in their individual cradles.